Will Extreme Couponing Ruin Coupons? | Will Extreme Couponing Ruin Coupons? Will Extreme Couponing Ruin Coupons? The TLC show Extreme Couponing has certainly brought using grocery coupons to the attention of the nation, if not the world. What was once the practice of a few families trying to greatly reduce their food budget has turned into a widespread trend, using hundreds of coupons to get as much stuff for free at the store as possible. By combining or stacking coupons with sales, extreme couponers can walk away with several carts full of food and health and beauty products that they don’t pay for. “My goal isn’t to save money. My goal is to get everything free,” one recent extreme couponer said. We love using coupons, and we love getting great deals. When shoppers can score something like $150 worth of groceries for less than $10, they jump for joy. Extreme couponing takes a lot of work, but when everything falls into place, it is a great feeling, knowing that you saved a lot on your grocery bill. It is nice that so many people are now getting started with coupons and learning how grocery coupons and manufacturer coupons can really save money. This show comes at the right time for many people who are struggling with their budgets. But, there may be another consequence of the extreme couponing show. It isn’t just the shoppers like us who are paying attention. Grocery stores and food manufacturers are also taking a good look at the show. They are learning all about the practices of the extreme couponers, how they use coupons and how they get the savings that they do. They are even learning how flaws in the cash register systems allow loopholes that net shoppers savings, even if those savings were never the intention of the store or the company issuing the coupon. The result of this is that we are starting to see many changes in store coupon policies and more “do not double” coupons. It seems as though there is a new announcement of a change every week, as stores and manufacturers struggle to close up any gaps that may be costing them a lot of money. The stores want to limit coupon abuse of course, but they also want to avoid having to excessively pay shoppers to shop at their stores. 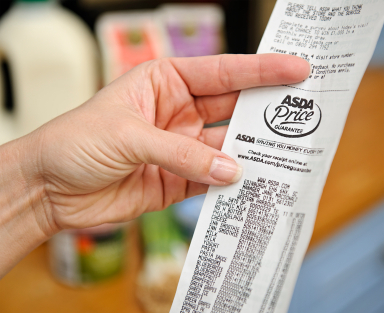 Coupons are usually issued to encourage shoppers to try a new product, or repurchase a product. After about three to five purchases, most shoppers will start to add that product to their mental favorite brand list. They are then more likely to always buy that brand even if they don’t have a coupon. Extreme couponers change things when they come into the store and use those coupons to buy twenty to 100 of the product, getting it all for free. Both the store and the manufacturer wind up losing money. The store spends time and money stocking the shelves that are then emptied by one shopper. This leaves no stock for other shoppers who might have bought the product at full price or tried the product with a coupon and become loyal to the brand. The manufacturer has to reimburse the store for all of the coupons, but they didn’t get the product into the hands of 100 different people, just one shopper, so the manufacturer loses money. The store may also lose money by doubling the coupons. Stores offer double coupons in order to get customers in the door, with the hopes that they will buy other products to make up for the loss in the double coupons. But extreme couponers never seem to buy any other products than those they can get for free or almost free. Because of these realities, we may see even more changes down the road that will make it harder to use coupons for extreme savings. I don’t think couponers are going away anytime soon, but we may start to have to use them differently. When stores and manufacturers see that shoppers can stock up on a year’s worth of products for free they start to rethink their promotions and offers. 11 Responses to Will Extreme Couponing Ruin Coupons? I think that people who empty an entire shelf of one item just because they can are extremely selfish! Not only are they possibly ruining couponing for those of us who are just trying to save money, they are inconveniancing every other shopper who has that particular item on their list. If it’s a staple for that person’s menu that week, they will have to make multiple trips to the store and let’s face it – that is fun for no one. Plus I think it’s crazy to hoard that much food in your house when there are people going hungry on the streets! Share the love people! I have watched the showed & tried to save as they do, however I live in Columbus Ga.& the best store to save money w/o coupons is Piggly Wiggly..but they no longer take coupons printed off line..which hurts my budget alot..our other stores are Winn Dixie and Publix..both charge more than Piggly Wiggly but Winn Dixie is best for Couponing..I have seen alot of changes in the stores since the show started. I can only hope that Winn Dixie does not stop taking coupons printed off line. hey machell i live in columbus ga too im a new at it do you think you could me out? I hope the people who appeared on the show were greatly compensated because they’re going to need that money to buy groceries because they revealed their secrets….not too smart!!! It’s a free country. If those extreme couponers want to buy the whole shelf – they have the right to do that. The stores are reimbursed from the manufacturers for the coupon plus shipping – they aren’t losing any money! Sure the store may not be losing money but they are NOT making money AND,the manufacturers are losing money. They are the ones who supply the valuable coupons and make the rules for the grocery store. They are also the ones that can take away the once generous savings coupled with a possible price gouge. Yes, its true the manufacturer loses out the most, but so do the grocery stores with man hours restocking and wasted hours at the register dealing with the “extreme couponer/hoarder.” Overall these people stockpile items that they may never necessarily ever use. Greed or obsessive? Also, how much money do you really save if you spend 50 hours a week organizing, strategizing and shopping. Maybe, these people should get a real job. Hopefully, stores and manufacturers will smarten up and limit couponed items to 5 or less. Couponing should be a tool to save, not to stockpile. Don’t be jealous. Just do the work yourself and stop whining about how other people are finding incredibly smart ways to stockpile their food storage in and extremely unreliable economy.